Get the first look at the brand new 2018 Subaru Crosstrek in Michigan. Subaru brings you their beloved classic all wheel drive crossover - re-imagined. The new Crosstrek stays true to the bold and funky style fans have come to expect, but with a refreshed face and a whole lot of improvements in performance and functionality. The Crosstrek is the perfect vehicle for young couples or families with a quirky style and sense of adventure. At Glassman Subaru, serving Michigan, we can't wait to show you all the features of the new 2018 Crosstreks. The minute you open the door to the new Crosstrek, you'll start to notice all the stylish and functional upgrades that every 2018 Crosstrek review is raving about. With new high quality interior fabric with stylish contrast stitching, the interior to this vehicle is built for you and your passengers' comfort during all your adventures. To add to the comfort, the new 2018 Crosstrek has a more spacious cabin than ever. This include more stowing capacity and a wider back gate for even easier loading. 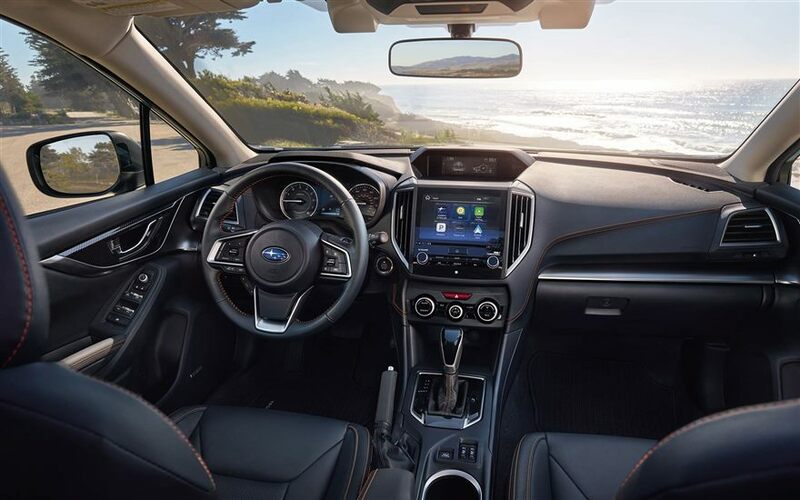 The Crosstrek also features Subaru Starlink technology on an even better 8 inch touch screen to keep you connected and entertained safely, with hands free technology. When you come check out the 2018 Subaru Crosstrek at your local Michigan Subaru dealership, you'll see right away why this car is in a class all it's own - just from one look at the bold exterior. The new model stays true to the funky chiseled body style, yet the redesigned black fenders and trims leave the Crosstrek feeling even more rugged and practical than ever before. That rugged look is bolstered by the new 18 inch alloy wheels with aggressive rim design, and a set of adventure-ready roof racks. The outside of the new 2018 Subaru Crosstrek doesn't just look better than ever: it's also safer than previous models, with redesigned crumple zones and around 40% better impact absorption than older models. All these features add up to a vehicle that has serious curb appeal. According to a recent 2018 Crosstrek review, the biggest improvement to the new Crosstrek is the suspension and steering, both of which underwent a major overhaul for the new model. The new body is built on Subaru's new global platform and has improved torsional stiffness by 70 percent, which lends to improved steering. Every new Crosstrek features Subaru's symmetrical all wheel drive and an 8.7 inch ground clearance, giving the vehicle an athletic stance and feel. To make it even more athletic, there is available X-Mode, which gives you the option to use the Crosstrek for your off road adventures. A trip to your local Michigan Subaru Dealership will show you that everything about this model is lighter and more agile in feel. The new Crosstrek received a major reworking under the hood, featuring a brand new engine and newer transmission. The brand new 2.0 liter Subaru Boxer features direct injection and a low center of gravity for better handling. It also outputs an impressive 152 horsepower. Combining this with the powerful new 6-speed manual transmission or available CVT transmission gives the driver a smooth but dynamic driving experience. Both transmission styles also employ Subaru's symmetrical all wheel drive, allowing you to handle any adventure you like, in any weather or condition. The only way to truly understand the improvements to the Subaru's powertrain is to come see for yourself with a test drive at Glassman Subaru, serving Michigan. Subaru has been known for years for their high safety ratings, and the 2018 Crosstrek is no exception. The new Crosstrek features an even safer body than every before, with more effective crumple zones and a new engine that has a greatly reduced risk of being forced into the cabin in the case of a collision. In addition to the safety features of the body, the Crosstrek includes all the new safety technological features you need to keep yourself and your passengers safe. 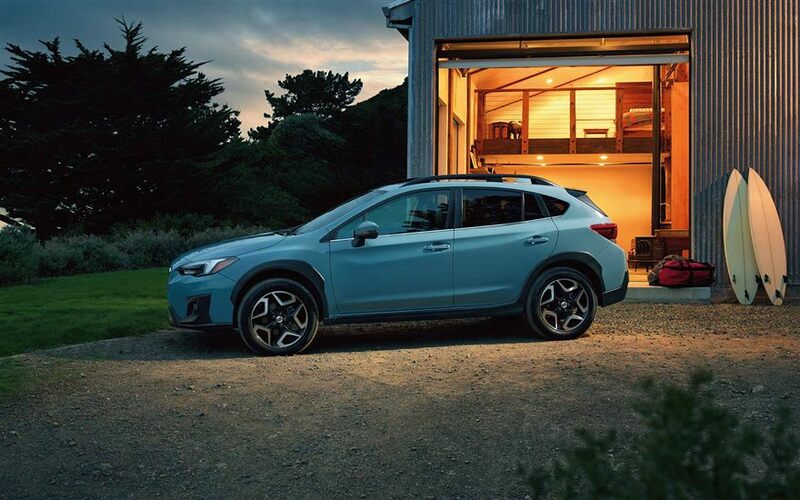 Depending on the model, these features may include standard rear-view camera, reverse automatic braking, rear cross traffic alerts, available blindspot detection, and so much more that you can learn about at your local Michigan Subaru dealership. All these features make driving a 2018 Subaru Crosstrek in Michigan as safe as possible. If you're looking for a bold and sporty car that is equal parts sedan and SUV to match your active and adventurous lifestyle, the 2018 Subaru Crosstrek has your name written all over it. At Glassman Subaru, serving Michigan, we are waiting to show you how this vehicle stands up to every 2018 Crosstrek review that raves about the performance, comfort, and style it provides. Contact us now to learn more about the 2018 Subaru Crosstrek in Michigan, and to schedule a test drive!